You'll Have The Cleanest Floors With The Longest Lasting Results! We Guarantee It. 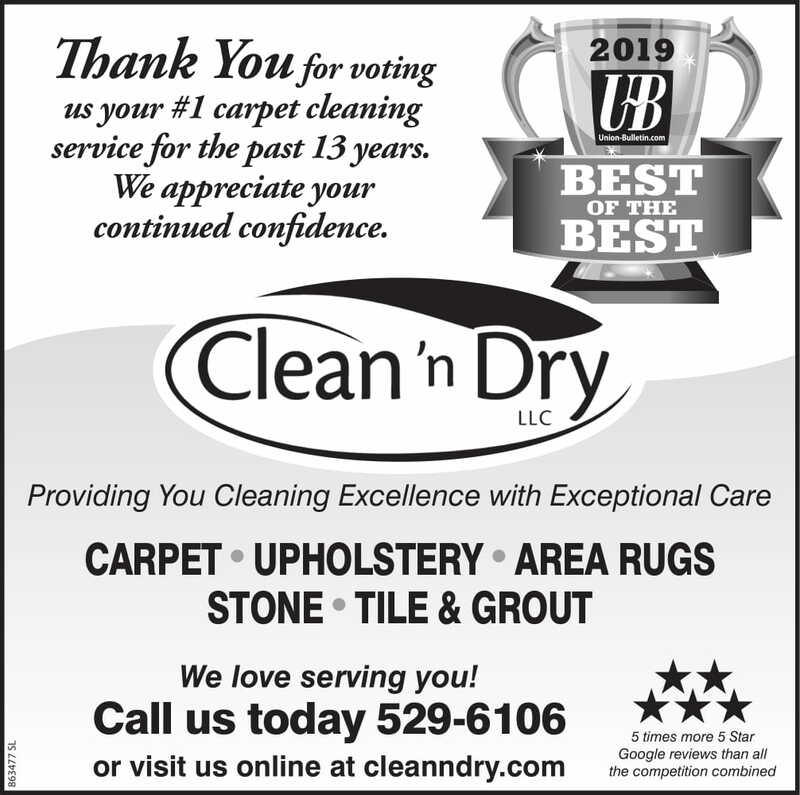 Clean 'n Dry has been voted Best of the Best for the Walla Walla Valley since 2009 with more than 4,000 happy clients just like you. Let us show you why. Call For A Free Estimate at (509) 529-6106. "It is always such a pleasure seeing Oscar and Zander! Not just for the excellent job they always do, but because they are such courteous and conscientious young men. We like everyone on the whole Clean ‘n Dry team! Thank you for being a company par excellence!!" Enter your name and email for instant access to your $25 voucher good toward any of our cleaning services. It’s our gift to you. Did you know most cleaning companies use a one or two step cleaning process? We use a 12 step process so you get a more thorough, longer lasting cleaning. We identify potentially permanent stains to give you a reasonable expectation of the final results. We pre-vacuum with a heavy-duty commercial grade vacuum which allows us to remove 80% of the dry soil. This step is optional. We can clean the traffic areas in your home without moving any furniture. We lay down drop cloths to protect wood floors and we place corner guards at the main transitions to protect walls and trim. We pre-treat difficult stains to increase chance of removal. We apply a preconditioning agent to emulsify and break down the soil and oils. Then we agitate any areas that need extra attention. We run over the carpet with our rotary jet extractor. Then we do a dry stroke that allows us to recover up to 90% of the moisture we used. We re-treat and re-clean any areas that seem like we could make an additional improvement. We apply Teflon protector and groom it in so it gets fully dispersed on all of the fibers. We rake out our footprints to make sure we didn’t miss anything and to set the pile so it will dry faster. As we finish cleaning we set up our down draft air-mover. This takes the warmer, dryer ambient air and blows it down across the surface of the carpet so it usually dries to the touch in 5-6 hours. We make sure every area looks perfect, or as close to it as we can make it! We believe you are unique and deserving of outstanding customer service. That's our pledge to you... from Dayton to Milton-Freewater and from Touchet to Dixie, Walla Walla and College Place. 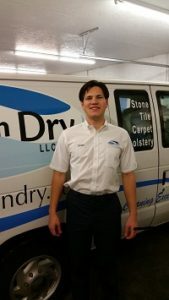 Call us for prompt, courteous, professional carpet and floor cleaning estimates today. 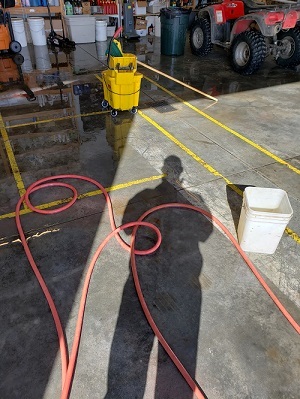 Last Saturday when the weather was so nice, we drove our trucks out and washed our shop floor. Over the winter things get pretty nasty around here with all the road grime and snow. We washed the floor and squeegeed it out the door. It reminds me of a quote from John Wooden, Don’t let what you can’t do, keep you from doing what you can. It was a nice day, it needed done, we took care of it. What do you need to accomplish today? Well it’s been a pretty crazy ride these past 20 years (where did all that time go? Right?). From our humble beginnings out of the back of a borrowed trailer, we have come a long ways in becoming the Premiere Provider of Cleaning Services in the Valley. Over these past 2 plus decades many things have changed. Yellow pages are pretty much gone, (who uses a phone book anymore?). There has been a surge in hard surfaces and people owning rugs. Paper maps have gone the way of the dinosaur, we now navigate around using Google Maps. When we started I scheduled jobs from my cell phone into a paper schedule book, now our amazing office manager, Katie, expertly handles all client scheduling needs from the comfort of her professional office with amazing farm side views. One thing hasn’t changed. Our dedication to our clients has been the cornerstone of our success. Over the past 7,300 days or so, we have constantly been striving to Provide You The Most Outstanding Service Experience Possible. We do that because we believe You are Unique and Deserving of Exceptional Care. 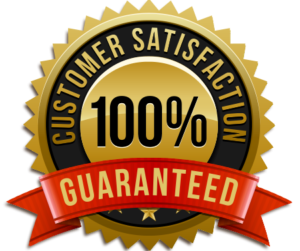 We Guarantee You will Get the Cleanest Floors with the Longest Lasting Results Possible. Everyday we come to work not just to show up, but to step up. We are seeking to make every day a masterpiece, and a better one than yesterday was. We are constantly improving and growing and searching for new ways to add value to our clients lives. Zig Ziglar taught us “You can have everything in life you want if you will just help another people get what they want.” I can attest to that. I am a very blessed man. So I guess it’s fitting to announce our 13th consecutive UB Best of the Best Award. John Wooden, the greatest basketball coach of all time, taught his players not to focus on the championship, but to focus on every play, everyday. When everyday is a masterpiece it makes the whole year a masterpiece. We want to express a hearty thank you to the valley for your support. Without U there would be no US. Thank you so much for your continued confidence and support. I can honestly say it is a blessing and a privilege to serve your cleaning needs. Your real estate agent may prepare the fact sheets, post advertisements, and run the open house, but if you don’t do your part, it won’t be a success. It’s up to sellers to get their homes ready for the open house. If you’re preparing to host your first open house, this is what you need to do to make it a success. The most important thing to do before an open house is make your home impeccably clean. A pre-open house cleaning should go beyond your normal cleaning to scrub, polish, and dust every corner of the house. If you don’t have the time or energy for a deep cleaning, a one-time cleaning service is an affordable solution. Since damaged walls and floors make a clean house look unkempt, this is also the time to repaint walls and repair or replace damaged flooring. Some of your open house attendees will be people who noticed the event while passing by. But if your home doesn’t look inviting from the outside, they aren’t likely to step in for a closer look. Follow the DIY Network’s tips for adding curb appeal on even the smallest of budgets, like repainting the front door and trim, installing a new mailbox and house numbers, replacing exterior light fixtures, and adding container plants. Of course, you should also make sure your lawn looks its best by keeping it manicured and repairing bare patches in advance. No matter how well-organized it is, if you have too much stuff, your house is going to look cramped and cluttered. Furnishing your home with just the basics, on the other hand, gives buyers the impression that there’s plenty of space for their stuff. It also makes for better pictures and easier navigation while prospective buyers tour the home. Declutter and pack before the open house rather than waiting until moving day. Address not only small clutter but also excess furniture. If you don’t want to get rid of it, rent a storage facility until you can move everything to the new house. Don’t make your agent explain to prospective buyers how you plan to have the sagging gutters or the overworked HVAC system replaced before selling. If your house needs significant repairs before it’s sold, handle them before hosting an open house. Some issues are minor but give the impression that your home hasn’t been cared for. You should fix minor issues that can turn off buyers. 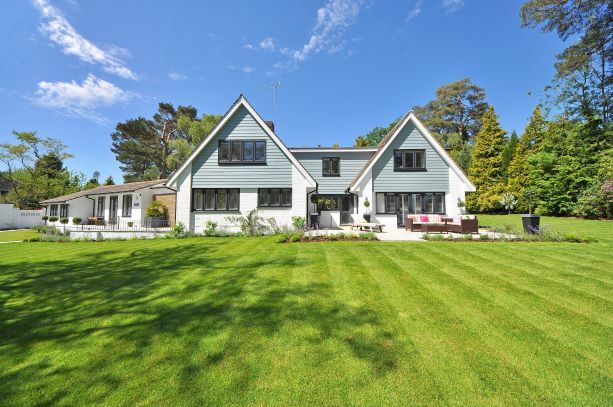 While you may think something as insignificant as a missing light bulb wouldn’t dissuade buyers, it could be enough to sway the decision when it’s a choice between two comparable homes. Now that you’ve made your home into a blank slate, it’s time for the final details of home staging. A few well-placed throw pillows, place settings on the dining table, plush bathroom linens, and eye-catching decorations can turn a basic house into a dream home. Remember that staging isn’t about decorating to your tastes. Rather, the goal is to highlight your home’s best features and inspire prospective buyers to imagine living there. For tips on how to stage your home, see these staging suggestions from Elle Decor. When it comes to preparing for an open house, cleaning and tidying isn’t enough. If you want your open house to be worth your while, your house needs to look its very best for the event. Follow these tips and ask your agent for advice on the best way to stage for your local market. Suzie Wilson is an interior designer with more than 20 years experience. What started as a hobby (and often, a favor to friends) turned into a passion for creating soothing spaces in homes of every size and style. While her goal always includes making homes look beautiful, her true focus is on fashioning them into serene, stress-free environments that inspire tranquility in all who enter. The Ultimate Guide to Prepping Your Home for an Open House is filled with tips, tricks and other advice based on Suzie’s years of experience in interior home design that will set you up for success. We all know how important a healthy environment is for children. However, one factor that often goes unnoticed in a home is air quality. Since air quality is hard to sense, it can be difficult to recognize problems. And even when you know there’s a problem, it’s hard to know how to fix it. Here’s some information to help you understand the impact of air quality in your home, as well as how to reduce pollutants and learn to spot the signs of pulmonary diseases in children. It’s no secret that the outside world contains all kinds of pollutants. Although it may feel like you’re keeping your family safe from those pollutants, the air quality in your home could actually be up to 10 times worse than outdoor pollution. The primary reason is that potential pollutants can build up easier in contained areas than in open spaces. Since you often can’t see or smell pollutants, the air quality in your home can get poor before anyone realizes it. Chemicals are one the most common causes of poor air quality. Every home has some level of volatile organic compounds (VOCs), which are released from a variety of household materials, such as wood preservatives, solvents and paints, cleaning products, and aerosol fragrances. You can cut down on harmful effects from VOCs by storing such products outside of the house and making sure you’re in a well-ventilated area when you do use them. Also, many cleaning products and new furniture items contain zero to low VOCs, so being pickier when you choose these products can help protect your family. Controlling the moisture and temperature in your home — particularly in climates with high humidity and fluctuating temperatures — is another way to improve the air quality in your home. Along with VOCs, humidity, and extreme temperatures, allergens are also a common cause of poor air quality. One of the first things you should do to reduce allergens in your home is to purchase an air purifier, which also goes a long way in helping kids who suffer from asthma. There are several high-quality purifiers to choose from, so do your research, read reviews, and pick one that you think will meet your needs. A few of the best selling air purifiers on the market today are the IQAir HealthPro Plus, Alen BreatheSmart-Pure, and Rabbit Air MinusA2. The right air purifier for you will depend on whether you’re targeting particular allergens, your budget, how much space you have, and whether you’re concerned with the purifier’s sound. In addition to purifying the air, you can take several additional steps to reduce allergens from in your home. For instance, utilizing the air conditioner spreads fewer allergens into the air than ceiling fans, wall fans, or the breeze from an open window. Also, cleaning rugs, carpet, bedding, and drapes regularly will help remove irritants. A natural way to purify the air is to add indoor plants, which are natural air filters, to the inside of your home. Pulmonary diseases affect the airways and other structures of the lungs. Long-term exposure to air pollutants and allergens for a child impacted by a pulmonary disease can result in infection, difficulty breathing, and a decrease in lung function. Since children have lungs that are still growing, indoor air pollutants and allergens have a larger impact on their respiratory functions. Some pulmonary diseases children face are asthma, bronchitis, chronic obstructive pulmonary disease, cold, cough, and pneumonia. Some of these cannot be prevented, but they can be mitigated and sometimes avoided by keeping children away from pollutants and irritants. 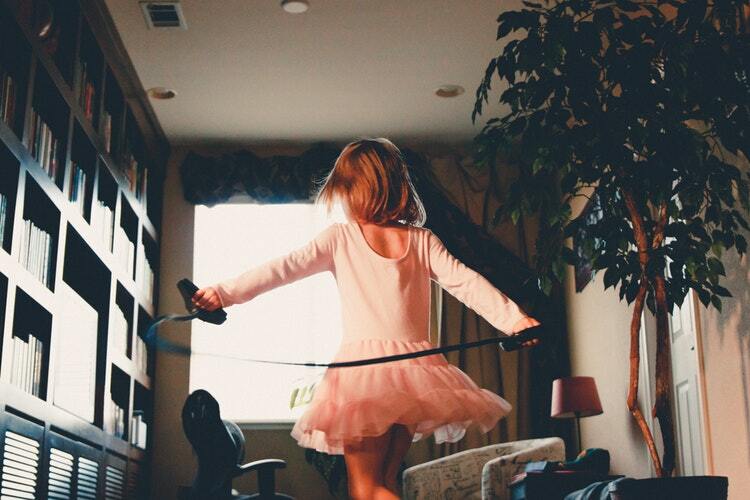 We may want to protect our children from harm and wish we could place them in a bubble to prevent illness and injury. However, the reality is that there’s a certain amount of exposure they will have to things that can harm them. While our children are susceptible to indoor and outdoor pollutants, irritants, and allergens, those risks can be mitigated with air purification, regular cleaning of the home, and minimizing the spread of pollutants. Well it’s pretty exciting stuff to raise a child and have them come to work with you in the business. I feel a little goofy with this because Zander has been helping me since he was 12. He came to work with me full time in 2015 and became my business partner in the acquisition of Beautiful Carpets and Floors Inc. Thanks Zander for your great input into our business!